As a reporter for his high school newspaper, Tom Harding was tracking the best story of his life when, suddenly, his life turned very, very weird. He woke up one morning to find his house empty . . . his street empty . . . his whole town empty . . . empty except for an eerie, creeping fog and whatever creatures were slowly moving toward him through the fog. Now Tom s once-ordinary world has become something out of a horror movie. How did it happen? Is it real? Is he dreaming? Has there been a zombie apocalypse? Has he died and gone to hell? Tom is a good reporter he knows how to look for answers but no one has ever covered a story like this before. With the fog closing in and the hungry creatures of the fog surrounding him, he has only a few hours to find out how he lost the world he knew. In this bizarre universe nothing is what it seems and everything including Tom s life hangs in the balance. 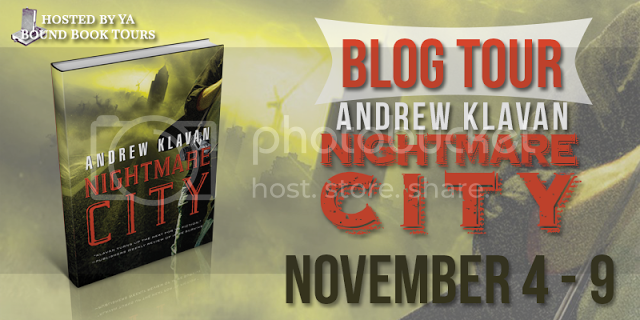 Guest Post from Mr. Klavan! 1. What is it? That’s What! Let’s Kill It! Oh, That’s What it Is! Then, about a third of the way into the movie, the horrible truth comes out. It’s a giant shark. It’s a zombie. It’s a vampire. It’s a ghost. It’s a guy with a knife. Some psychic or scientist or vampire hunter or professor of the occult explains things to the hero or heroine. “You zee, mein friend, ze vampire trinks da blad of the leeving.” And the hero is, like, “Da blad? What’s da blad?” And the professor is like, “Da blad! Da blad! He trinks da blad!” And the hero goes, “O-o-oh! You mean the blood!” And the professor says: “That’s vat I zaid: da blad!” And then everything becomes clear. So for the last part of the movie, the heroes all get together and they’re, like, “Let’s kill it!” And that’s the part where they chase it out to sea, or around the house, or through the haunted castle and finally in a climactic scene they drive a stake through the monster’s heart or burn the house down around it or blow it up or find the zombie cure or something. Only they never entirely kill it, because there has to be a sequel. But they kill it for now. Well, then, what is THAT? Holy moley! And what’s THAT now? Every time Tom thinks he’s figured something out, he really has to go to a new level, a new depth with fresh mysteries that he has to figure out anew. And since it’s a story about finding out the truth, he really has to go very deep before he can finally understand anything. And that’s when things get REALLY scary. 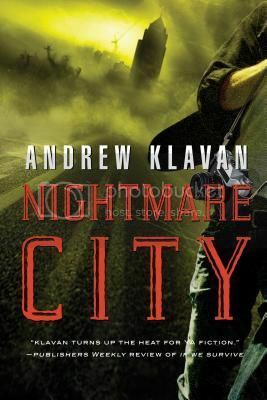 Andrew Klavan is a best-selling, award-winning thriller novelist whose books have been made into major motion pictures. He broke into the YA scene with the bestselling Homelanders series, starting with The Last Thing I Remember.He is also a screenwriter and scripted the innovative movie-in-an-app Haunting Melissa.